Many people do not typically associate Winter with bird-watching, but the activity can be quite spectacular for those willing to brave the weather! We did just that a few years ago when we gathered with some VERY HARDY folks at the Merrimack River Eagle Festival in Newburyport. We have also found it an excellent time to put bird-watching gear through its paces, mainly because the cold presents challenges that more temperate weather doesn’t. This year, we are planning on heading to MREF again. 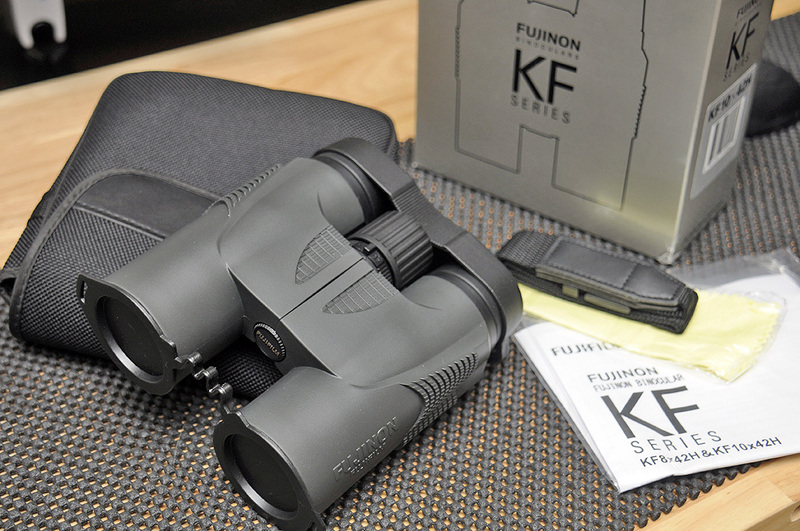 This time we will be taking a pair of Fujinon’s 10x42mm binoculars from their KF Series and putting it through its paces. Before we do that, though, here is our FirstLook at this new addition to our optical lineup. 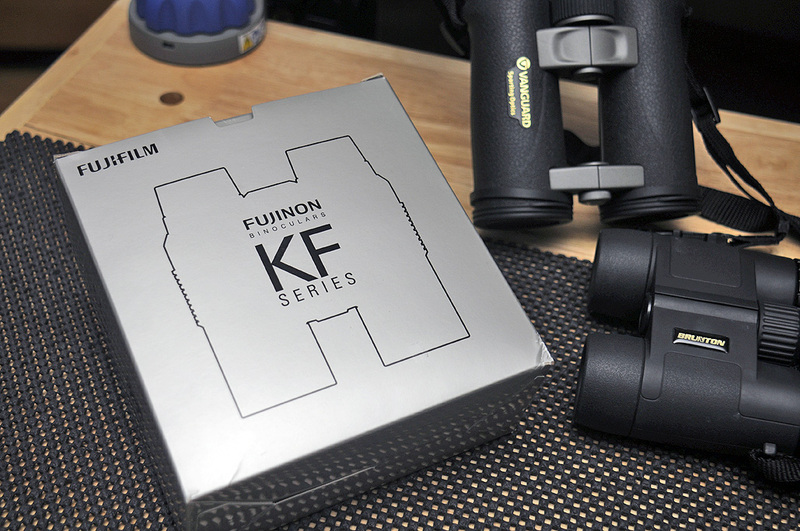 While all Fujinon-branded products have high- lens and coatings, the new KF series “eco-glass” optics are manufactured without the use of lead or arsenic. The complete kit includes a pair of binoculars with front/rear covers, carry strap, cleaning cloth, and printed instructions. 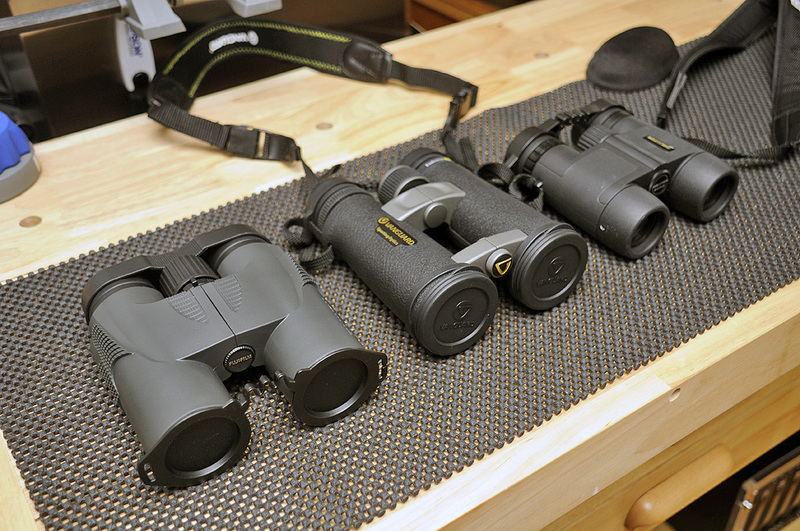 Designed to survive the outdoors, the internal frame of these binoculars are made of aluminum. 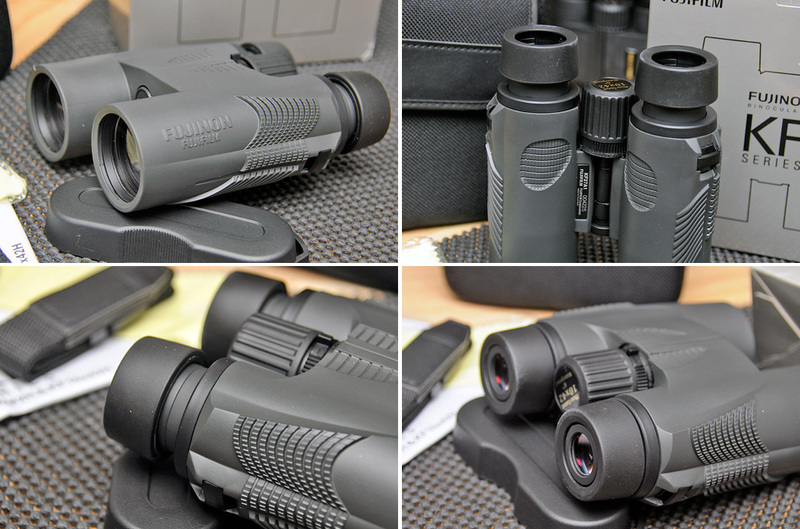 The exterior is coated with anti-skidding, texturized, reinforced rubber, providing an easy grip in all conditions and protecting the binoculars from the inevitable bumps and knocks. The entire unit weighs less than a pound and a half, which makes it is easy to pack, carry, and use all day long. The KF series uses a roof prisms setup for compactness, are nitrogen-filled so they will not fog up, and are o-ring sealed to be waterproof. The eye cups may be adjusted to accommodate users with or without glasses. Diopter adjustment is designed to let you compensate for differences between your own two eyes. Once you set the diopter, the two barrels should stay in proper relation. From then on you can focus just by turning the central focusing knob. On most binoculars the diopter adjustment is typically set by turning one of the eyepiece. The diopter adjustment on these binoculars is done by moving the tab in front of the focusing knob. We like this arrangement because it is easy to do on the fly and requires just one finger to perform. This is especially convenient when sharing the binoculars with others. 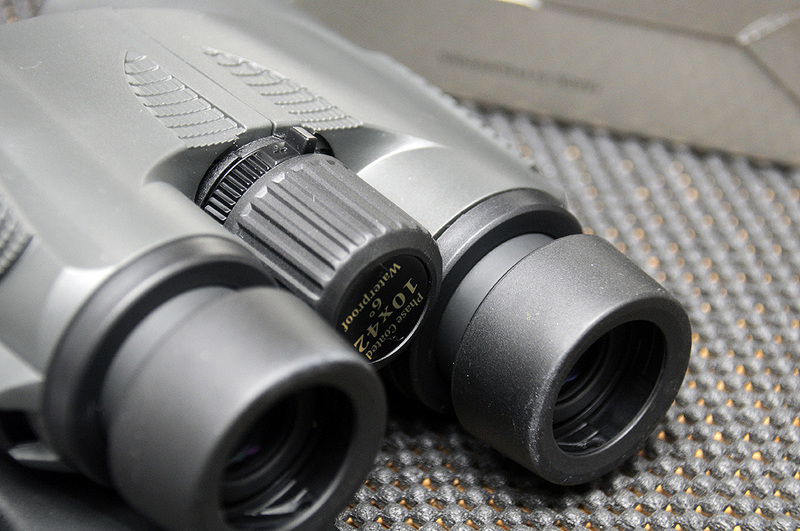 For rock-steady viewing, these binoculars are tripod-mountable with the aid of an adapter. We will show that setup in the FirstUse review. We are looking forward to this year’s Merrimack River Eagle Festival and to taking the Fujinon 10x42mm XF Series binoculars on the outing. Look for our FirstUse report by the end of February.